It’s time for another mascara review! 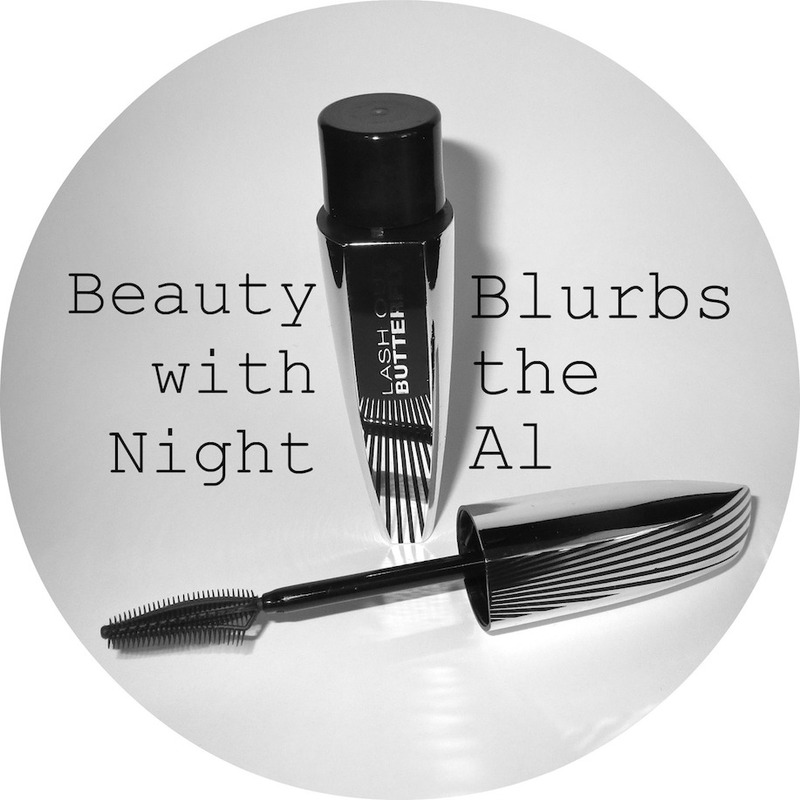 Today, I tried out L’Oreal Voluminous Butterfly Mascara in Blackest Black. According to L’Oreal this mascara “extends and lifts outer corner lashes to give you a winged-out effect, instantly volumizing lashes at the roots and stretching lashes outward.” It also has fibers (Cocoon fibers as they call them…butterfly…cocoon…get it?) that attach to your lashes for extra length. 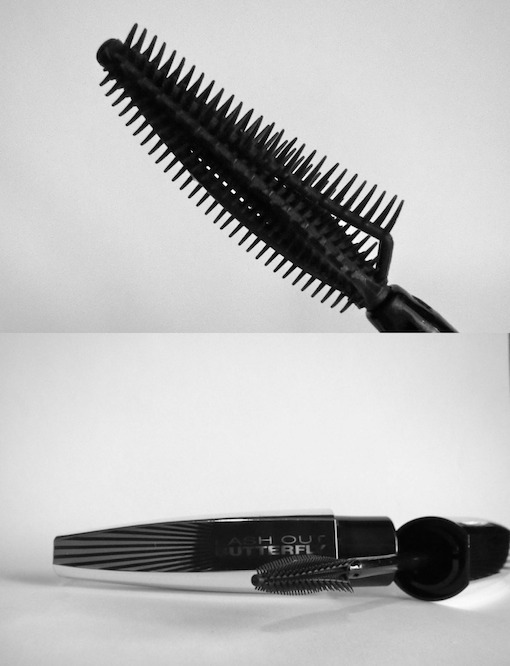 The “Butterfly Brush” is definitely unlike any mascara wand I’ve seen before. It is most narrow near the inner corner of your eye and thicker as it heads towards outer lashes. It has well-spaced, firm, rubbery bristles that are asymmetrical on one side to create the “winged out” effect, and shorter, even bristles on the other side. 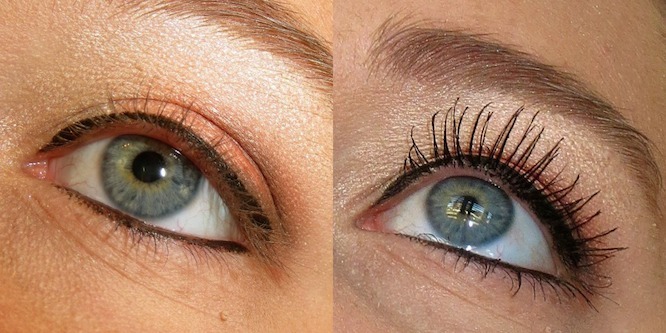 Above is a shot of my eye with no mascara on the left and with two coats of L’Oreal’s Butterfly Mascara on the right. The wand allowed for easy application. It allowed me to separate each lash to ensure little clumping without globbing (really spell check? Globbing isn’t a word? Disagree.) on mascara each time I touched my lashes. The formula was great too. It didn’t dry too quickly, so it was easy to apply a second coat. I was enamored with this mascara when I first applied it, but looking back at these pictures, I’m less impressed. I just feel like my lashes don’t look as full or long as they do when I use different mascaras. I didn’t curl my lashes today, so that may have something to do with it. I do have to say, my lashes still felt soft after application, and I didn’t have any flaking all day. At $8.99 a tube, I’m still happy that I purchased this mascara to try (Full disclosure: I had a coupon, so I got it for $2.99). The “innovative” wand is unique and easy to work with, and the formula is great. I think next time I’ll try curling my lashes and maybe even going for three coats (dream big, right?). Has anyone else tried L’Oreal’s Voluminous Butterfly Mascara? Did your lashes become so winged out and fabulous they almost fluttered off your face? Did the “Cocoon fibers” allow your lashes to escape to new dimensions? Do tell. Haha you’re too sweet! 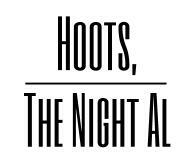 Please let me know what you think if you try it…I’m still on the fence!